With school being out, and our next summer vacation still several weeks away, we're trying our best to stay busy! We've been scouring Pinterest for some cool project & summer activity ideas that we can put our own spin on, and then put to the test. We're excited to share the ones that we found fun and exciting (and the ones that worked for us) with you! 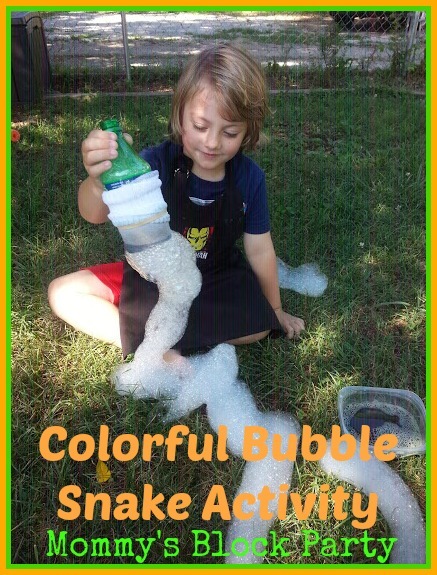 The Bubble Snake Activity is fun for ages 3+ (my recommendation, and they need to be supervised by an older teen or adult), and is a great way to get out and play with the kiddos! 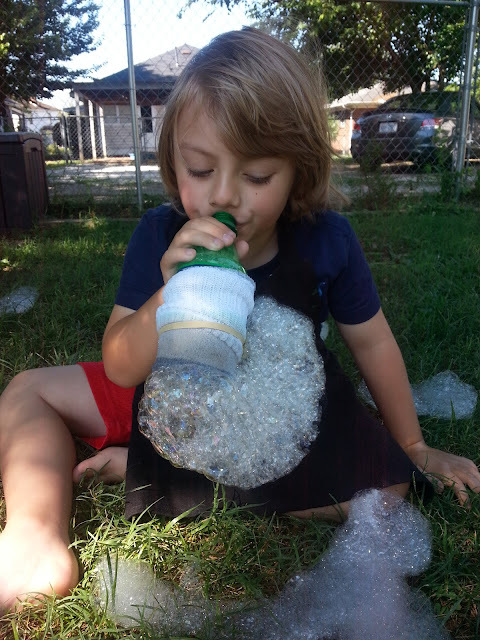 This activity is perfect for summer days at home, a fun project to do while visiting friends and family, or great for summer day camps, play groups, etc. 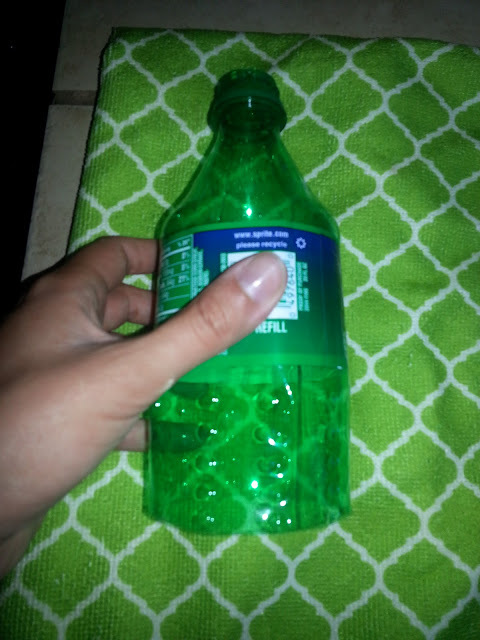 Cut the end off of a small plastic water or drink bottle. *This should go without saying, but an adult should do this. 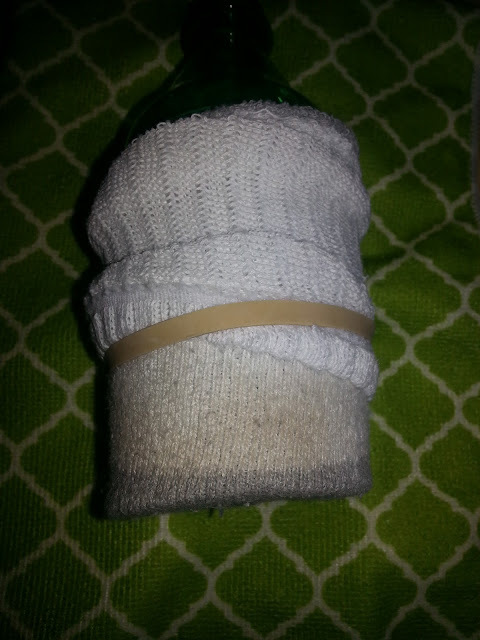 Place the sock over the end of the plastic bottle. Secure with a rubber band (or washi tape, if you want to get creative!). 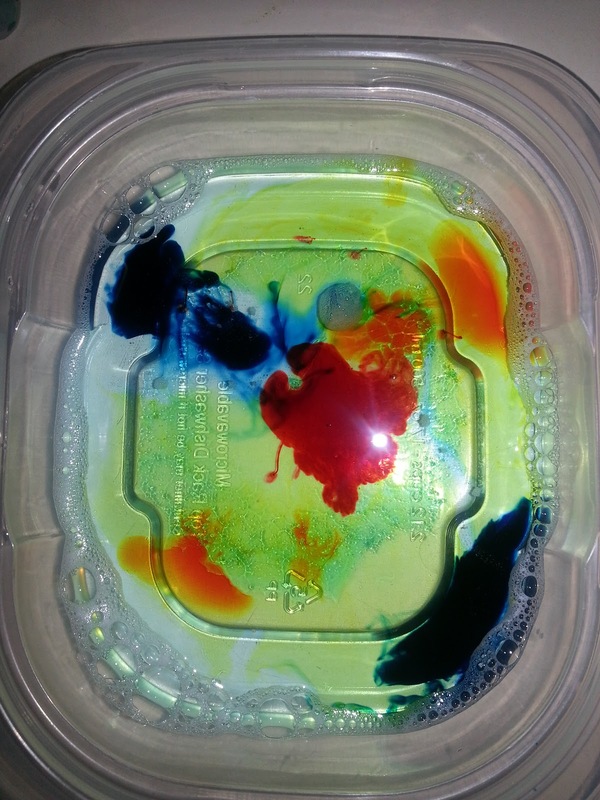 Add a small squirt of liquid dish soap (we used Blue Dawn) and a bit of water to a plastic container. *If working with little ones, you may want to do what we did, and add drops of food coloring right into the container. 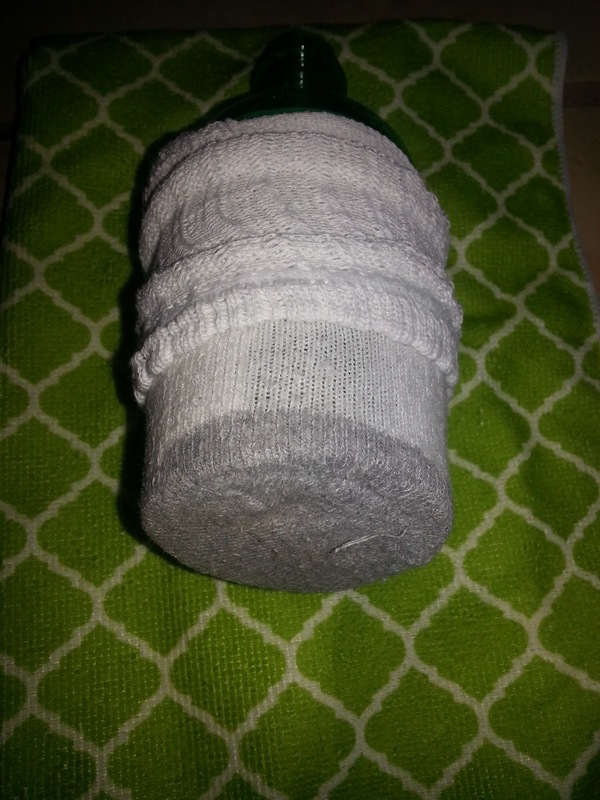 *For older children, allow them to add drops of food coloring directly to the sock, after it is secured to the plastic bottle. Dip the end of the bottle (sock covered end) into the mixture, and blow! Make sure to tell kids not to inhale the soap! It doesn't taste good! See how long your Bubble Snakes can be! B totally loved this activity (he is 4, 5 in October.). We had a blast making our Bubble Snakes! B and I both wore craft aprons outside to protect our clothing. 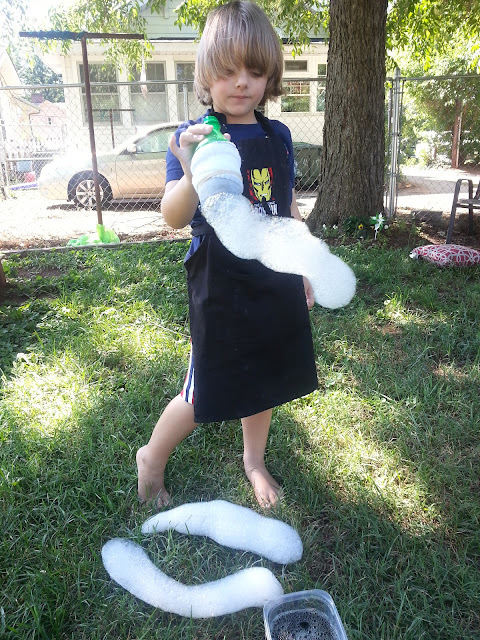 I definitely recommend using aprons if you plan to drop the food coloring onto the socks, and recommend doing this activity outside. We had so much fun with this activity that we plan to do it again! 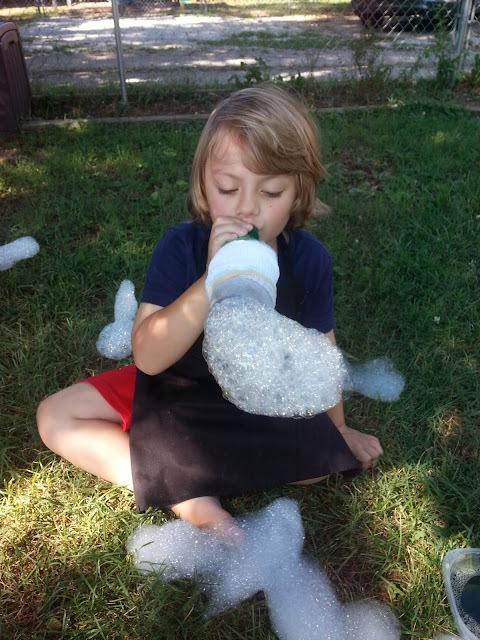 You can save the bottle w/sock and re-use it as many times as you like for this activity! Don't you just love these creative projects and activities that you can do with everyday items around the house? We sure do! 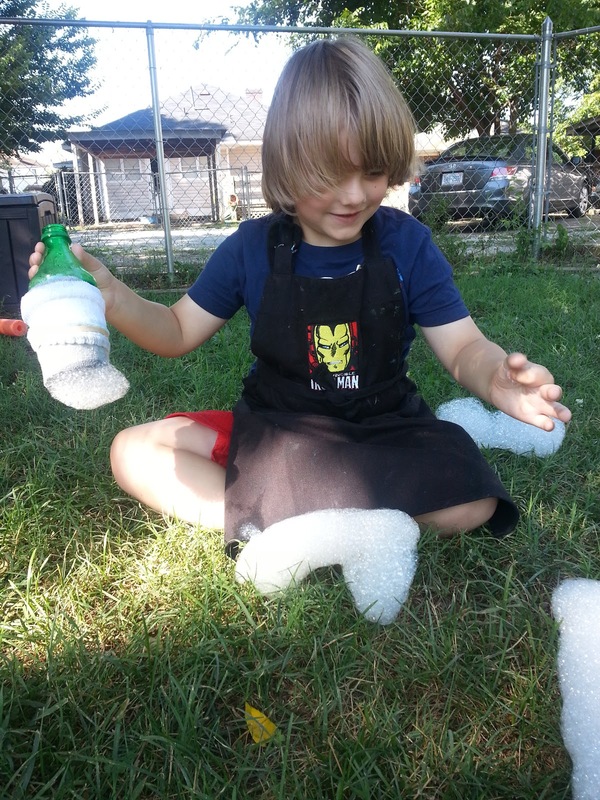 We hope you'll give this fun project a try this summer & get out there and play together! Want to see more activities & crafts? Visit our Crafts & Projects Page!